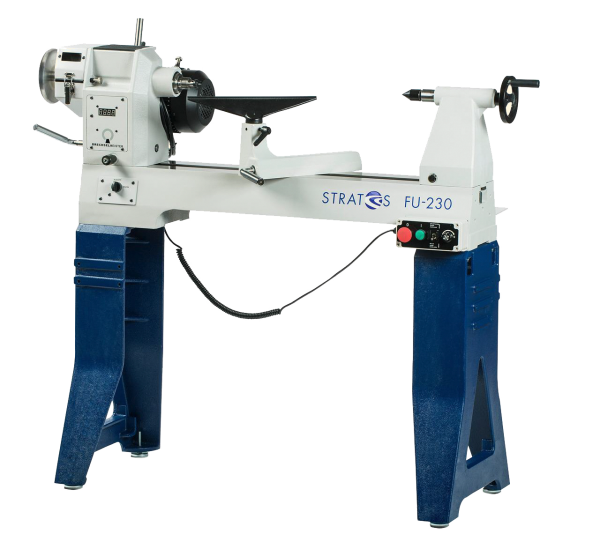 Product information "Stratos FU-230 Woodturning Lathe"
The shipping costs for this lathe is for UK mainland only. If you live outside of mainland England please contact me for a delivery cost. Related links to "Stratos FU-230 Woodturning Lathe"
Customer evaluation for "Stratos FU-230 Woodturning Lathe"
A very well thought out lathe, offers every thing you could possibly require from a lathe of this capacity. The extension bed adds an excellent benefit and if you are into giant bowls, the ability to bolt on the extension bed in any of 3 positions is another bonus. With the two speed easily changed drive belt system the motor provides plenty of power. The down side it is not provided with a 150mm tool rest. Other wise perfect.